If you haven’t seen this film, and the ending hasn’t been ruined for you…this is the first thing to put on your calendar for 2016. If you have seen it or some terrible person told you the ending, you should come as well. 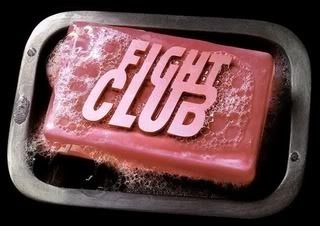 Join the YPG Book to Film club as we dip a toe into the crazy world of Fight Club (based on Chuck Palaniuk’s novel of the same title). It’s one of those 90’s films that really holds up, plus it’s got Brad Pitt, Edward Norton, and Helena Bonham Carter. This event will take place Tuesday, January 26th (UPDATED DATE!) at 6:00 PM at Penguin (375 Hudson Street). RSVP here!